One of the earliest Pride events of the year, Tokyo Rainbow Pride is a massive celebration that takes over Yoyogi Park in the centre of Tokyo and culminates in a city-wide parade on the Sunday. There’s a focus on family-friendly fun and inclusivity, not just of sexuality but also race and gender. A 7-day event featuring concerts, films and beach parties aimed at the LGBTQ+ community. This is the perfect Pride for grabbing a little sun and sea in-between events. Hosted by the Christopher Street West group, which organised the world’s first parade in response to and to commemorate the Stonewall riots, LA Pride is a massive parade turned festival featuring some of the biggest gay, lesbian and queer acts in the world. It’s common to see many famous faces in the crowd showing their support so be sure to keep an eye out. Considered the biggest Pride event in the world, NYC Pride is nothing short of spectacular. 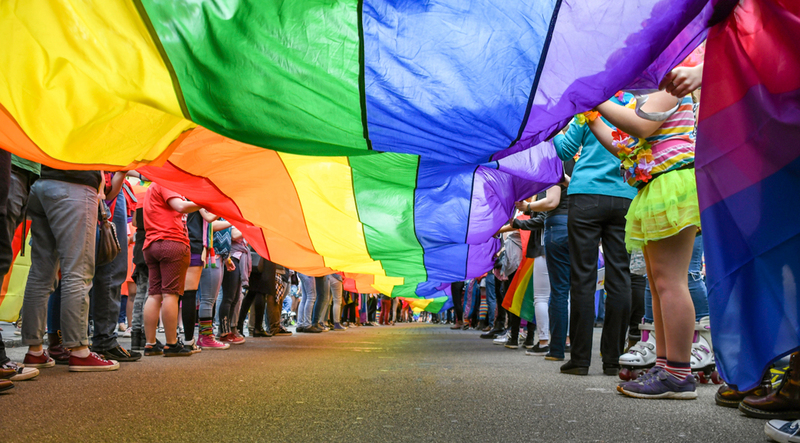 For a whole month, there’s a constant stream of events including live concerts, poetry recitals, art displays, discussions of politics and rights and wild parties all leading up to the world-famous NYC pride march which features thousands of participants. As this year is the 50th anniversary of the Stonewall Riots you can be sure the city will go the extra mile with its celebrations. The beach town of Sitges has a special place in the LGBTQ+ community as one of the most accepting holiday destinations in the world. Only a couple of miles away from the centre of Barcelona, the town has always encouraged LGBTQ+ tourists to visit. Pride in Sitges has two meanings as the town celebrates the community that has made it prosperous while the LGBTQ+ community celebrates the town that has welcomed it. One of the biggest Pride events in the Middle East, Tel Aviv Pride sees visitors arrive from many neighbouring countries to enjoy a celebration of every gender, race and sexuality. There are two main events, an incredible beach party spanning the length of Tel Aviv’s blue beaches and a parade throughout the city. The largest LGBT festival in Norway, Oslo Pride features a wonderful parade on Saturday the 22nd. The city also has a wonderful programme of events, including art exhibits, shows, film screenings, parties and political debates throughout the entire week. Boasting a massive turnout of over a million people, Madrid Pride is one of the biggest Pride events in the world with a parade that consumes the entire city. Many consider it to be one of the most important Pride parades in the world and thousands of tourists join the parade every year. Possibly the only rival to Madrid’s incredible Pride parade, Pride Barcelona often takes place at the same time or within a few days of Madrid’s parade. A healthy rivalry between the two celebrations often means that Barcelona goes the extra mile to top the revelry in Madrid, with jaw-dropping floats and non-stop parties. While not as exotic as some of the other destinations on this list, Pride in London is one of the biggest parades in the world – in fact, it’s the only annual event to close London’s iconic Oxford Street. If you want to experience everything Pride has to offer without going abroad this is a fantastic event to start with. Often referred to as the CSD, Berlin Pride is a little different to many other Pride events as those celebrating are given access to free or discount events across the city, including boat tours, club nights, film screenings and street parties. This makes it a great time to enjoy the best of Berlin as you can often get into the biggest attractions for much cheaper than normal. Be sure to make time for the parade on the Saturday though, as it is one of most unique parades thanks to a distinctly German theme. Pride in Amsterdam is 100% unique. The parade takes place on the waterways and canals, which become filled with floats and slowly turn into one massive dancefloor for the Pride party which continues late into the night and spreads from the canals throughout the city in a fantastic wave of street parties. If you’re visiting for the parade keep an eye out for the Drag Queen Olympics which is considered one of the city’s best events. Celebrating its 20th anniversary, Reykjavik Pride is sure to be one of the biggest for the community this year. This year the event will last for 10 days, instead of the usual 6 days, which will build up to a parade throughout the city following a rainbow road. Of course, we couldn’t miss out Manchester Pride. One of the biggest Pride events in England, the festival is breaking away from it’s normal format this year to feature several different free and paid events including Manchester Pride Live, the Candlelit Vigil, the Superbia Weekend, the Gay Village Party, Manchester Pride Parade and Youth Pride MCR. On behalf of Manchester Airport, we’d like to wish you a safe and wonderful Pride, wherever you’re celebrating it. If you are looking for more LGBTQ+ travel advice, check out our top LGBTQ+ destinations.